A FATHER'S supporters were devastated when bail was refused for the man facing more than 100 charges including drug and weapon trafficking. Ripley painter Michael Constantinos Giallourakis, 36, applied for bail on Thursday. Justice Elizabeth Wilson said the Crown case was not weak and prosecutors had claimed the guns were a "sinister aspect to his drug offending". The Crown said Giallourakis had a major incentive to skip bail because gun trafficking carried a minimum five-year jail term. Giallourakis also faced weapon supply and possession charges and drug supply charges, and allegedly offended when already on bail. Defence counsel Sam Di Carlo said the weapon trafficking charge might sound dramatic but firearms allegedly involved were "a bunch of old guns" including .22 calibre weapons. Giallourakis wanted to be able to support his family emotionally and financially, Mr Di Carlo said. The court said Giallourakis had care of five children. And referees described him as a good painter capable of earning money in that line of work. 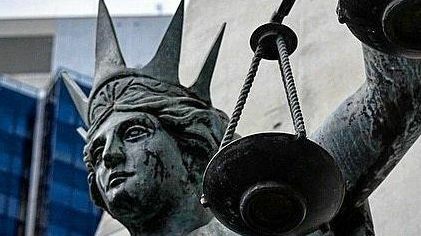 Proposed bail conditions included Giallourakis not leaving Queensland without permission, not possessing weapons or illegal drugs, and not having contact with any co-accused. It was also suggested Giallourakis stay away from international departure points and not apply for a passport. But arguments against bail included the possible risks of Giallourakis harming witnesses and re-offending. Justice Wilson said despite Mr Di Carlo's "strenuous" efforts, the re-offending risk was unacceptable. Relatives of Giallourakis in court were upset when bail was refused. Before leaving the courtroom, one told the judge: "Are you going to support my children? Are you serious?"